Critical Distance is pleased to present “8 x 8 at AYP” (aka the Artscape Youngplace mural on Shaw Street), featuring a large 8-foot square photograph by Toronto-based artist Steven Beckly. 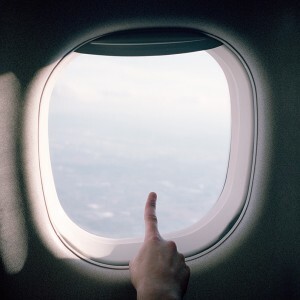 As project curator Matt Kyba writes, “In Come to My Window, a finger presses against a plane window waiting for a reciprocal touch…. Captured from the clouds and situated outside Artscape Youngplace, the billboard expresses a similar and unfulfilled wish: a desire for a public and global intimacy that stems from the ground and blooms from the individual. Against the backdrop of windows that adorn the re-purposed school, the image becomes a public invitation to engage these openings as sites for social connection.” Critical Distance thanks Artscape Youngplace for their generous support of this project.